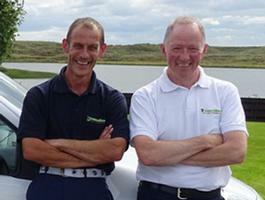 Jim Stewart of Greensleeves Aberdeen has been enjoying running his lawn care franchise since 2011. 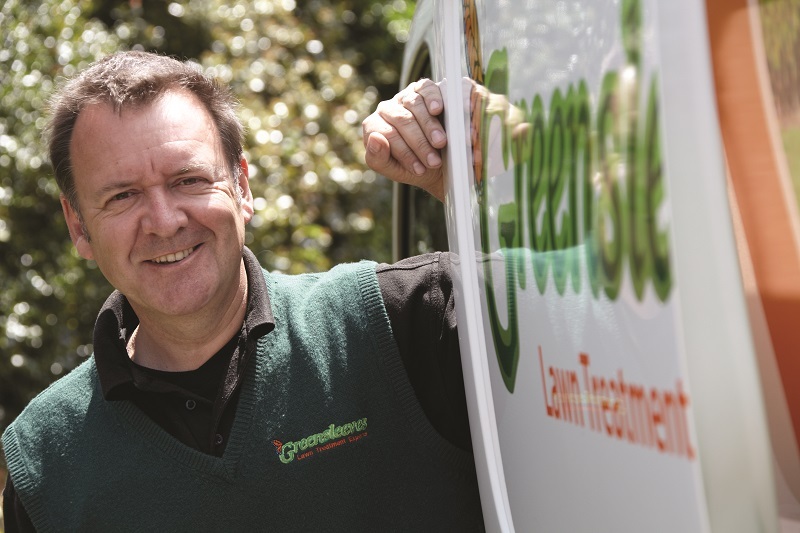 Originally from an executive background within the electronics industry when Jim found himself facing redundancy he chose to embrace the opportunity and purchase a Greensleeves lawn treatment franchise. Jim now enjoys running his business whilst working in the outdoors and is extremely proud of the success he has achieved so far. In this exclusive interview with whichfranchise, David Truby, Managing Director of Greensleeves, talks to us about joining Greensleeves and helping it expand through franchising. He also discusses how Greensleeves differentiates themselves from the competition and why investing in finding good franchisees is the key to having a successful franchise. Greensleeves are committed to offering their franchise network the best resources available. Their recent partnership with Mercedes-Benz looks set to drive future success forward. Invest in a franchise that is the first national lawn care franchise on the Which? Trusted Trader scheme. 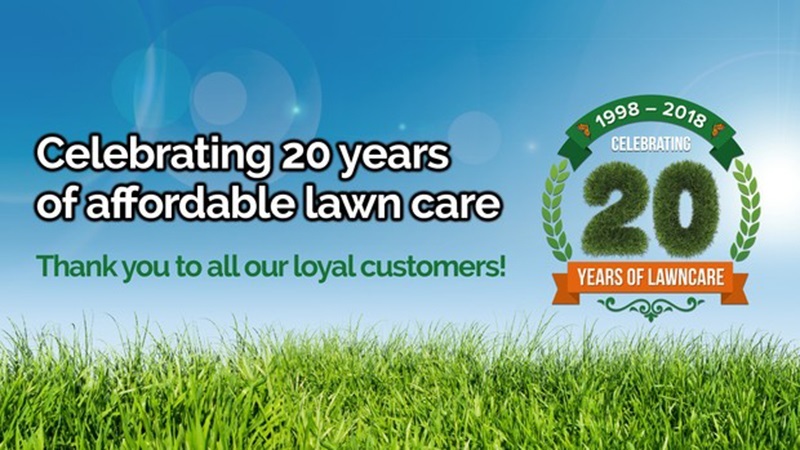 For more than 16 years, Greensleeves has provided top quality lawn treatments to gardens across the country. With over 75 franchises throughout the UK, and more due to launch this year, we are going from strength to strength. This is also due to the enormous potential within the lawn care market with the industry showing healthy growth at over 30%. With an estimated 18,000,000 lawns in the UK at present and growing, there is more than enough opportunity to establish a successful franchise in this sector. We have repeat business with over 90% of our customers and recommendations are the main source of new business for an established franchise. At the end of last year, following a rigorous application and approval process Greensleeves were extremely proud to be one of the first franchise companies to be awarded with the sought after Which? Trusted Traders endorsement. This accolade speaks volumes about Greensleeves and the quality of service we provide to customers. This commitment to quality and service naturally carries through the business to the way in which the company cares for its franchisees. We believe this endorsement along with that of independent lawn expert and author of Modern Lawncare, David Hedges-Gower, elevates our brand significantly above those of rival companies. 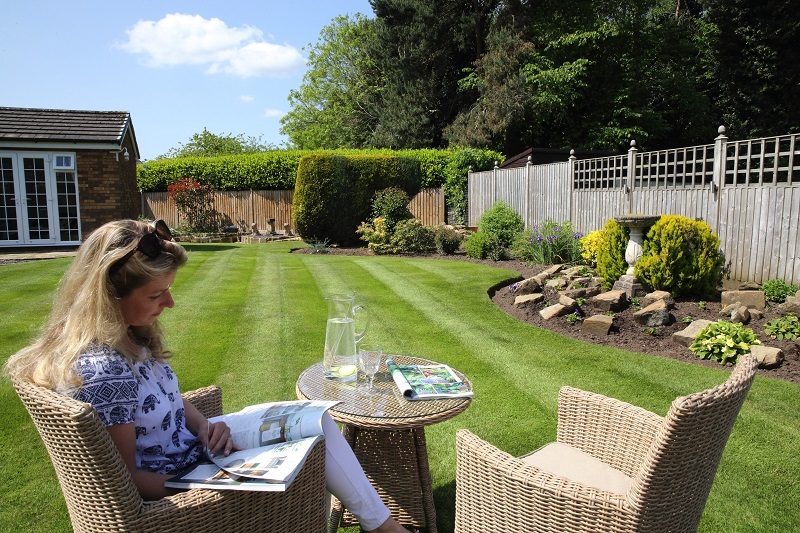 The typical job of a Greensleeves franchisee is to analyse, advise and treat their customers lawns, visiting at least five times per year to ensure the lawns are lush, green and healthy. Even if you don’t have a background in lawn care or any previous experience running a business do not worry – all the support you need is at hand. Greensleeves franchisees receive full initial training and the ongoing back-up of a highly committed management team. Remember, all the directors of Greensleeves started out as Greensleeves franchisees themselves so they know and understand the challenges you will face and are fully equipped to offer assistance and support. Our in-house training and ongoing support will ensure that you are fully equipped to establish and run your business and carry out the lawn care treatments to Greensleeves high standards. The course includes an NPTC program and exam which is required by law for you to handle pesticides in a commercial situation. How much does a Greensleeves franchise cost? Greensleeves offer an excellent franchise package which includes products, skills training, business and financial planning, accounts and marketing support. Vehicle - on a lease contract. 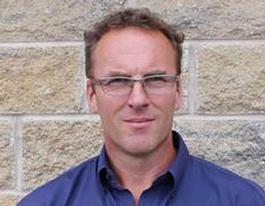 What do Greensleeves look for in a franchisee? An absolute commitment to customer service is the most important skill you will possess. It is important to us that you have the appetite to grow a business to its full potential and maintain the high levels of customer service that we currently provide to our many thousands of existing customers. You will be somebody who is not work shy and take on the challenges that running your own franchise business brings. Franchisees need to be able to manage a daily routine that requires a degree of semi-physical activity. You need to be flexible and self-motivated; very few business opportunities offer success without hard work, commitment and long and often unsocial hours. 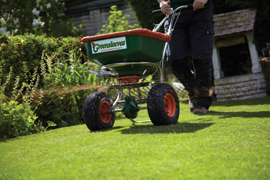 By filling in the form below you will be able to download a copy of the Greensleeves Lawn Care prospectus. I had spent my entire career in sports and amenity turf management, which is an interesting although small sector of the horticultural industry. I saw the beginnings of the lawn care industry in the UK and was aware of a burgeoning industry in the USA. An opportunity arose for me to get involved in a small start-up business, both from an ownership and operational point of view and I viewed it as something not to be missed. I joined the business in 2004 when it had only 1 franchise operating and have made it my aim to grow the business into a national service provider competing with the biggest companies in the sector, something we are well on the way to achieving. When was Greensleeves established? And what were the factors for deciding to go down the franchise route? The business model lent itself perfectly to becoming a franchise. It is a simple concept and relatively easy to replicate. It is a service which is better provided by a small local family type business from the customer’s point of view. We can bring significant benefits to the network with collective buying power on items such as consumables, IT and brand marketing. What have been Greensleeve’s biggest achievements/successes to date so far? Not only surviving but thriving during the global financial crisis of 2007 onwards helped us to become a strong and resilient business, having established a customer base of over 50,000 through a network of 77 franchisees has established us as a market leader. Becoming the first franchise business to gain the coveted “Which ?” endorsement as well as developing our own IT systems have all been significant milestones we have become very proud of. I think most of all though being respected as one of the leading businesses in our sector is a very satisfying position to have gained. Operating the business in the early days under some very challenging financial constraints due to the lack of available credit. Creating a market for a “new” service has proved and continues to prove a challenge. Similar to most franchise businesses, retaining a consistent operating practice amongst our network remains an ongoing challenge. 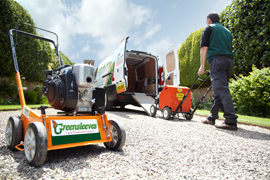 What differentiates Greensleeves Lawn Care from the competition? Anybody joining our network needs to demonstrate that they have a level of integrity and drive to grow their own business; they then need to develop an understanding and respect of our network values and ethos. Ideally they will have a vision of what they want to achieve and all the business skills needed to achieve that - motivation, personality, organisation and high standards in relation to customer service. It is the business skills that will help somebody succeed rather than an understanding of the technical aspects of the industry which we already have in house. As awareness of our service has grown so then has the level of competition in the market place. In response to that we have ensured that we continue to offer a high level of excellence through training and service provided, ensuring we operate at the “high – end” with high quality service and trained, qualified staff. As technology has developed we have tried to implement those parts that are relevant and now find ourselves offering a range of services with payment plans through direct debit payment options as well as various electronic payment methods available. We have had to become more social, creating a social media environment with a new modern interactive website as well as Facebook and Twitter accounts for our entire network. As our brand has become more trusted we have increased the range of products that we offer to our customer base in response to the many requests we receive. What does the future hold for Greensleeves? Consider the model and question whether it is easy to define the operating parameters. Consider if the model is very specialised and therefore not easy to attract people to be able to provide that service or product. Are the margins sufficient to sustain a profitable business based on a geographical territory? Ensure you recruit good quality franchisees and make sure that you provide them with a comprehensive package and support – they will become your best sales tools. Focussing on really good quality franchisees and territory size; this is something we could have done better. There are lots of little things we could have improved with hindsight but generally the business has evolved in a considered way without any significant operational problems.